I just fell in love with these Neiman Marcus cake stands. They would last approximately 5 minutes in my house, with two small kids and a cat who likes to push things over purely for entertainment purposes. 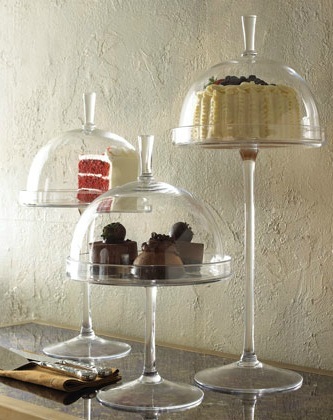 When I'm old and gray, I'm buying these cake stands. Have you ever seen anything so delicately beautiful?